We are an experienced I.T. business integrator who has been serving companies in Hong Kong since 1988. We constantly work with many other I.T. businesses to provide the best possible integrated solutions to business users. 20 years of valuable experience results a strong knowledge that is well recognized in the industry and earns an outstanding reputation from its clients. 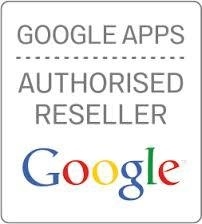 We are the first Google Appointed Apps Authorized Reseller in Hong Kong to support Google Apps since 2009. We deployed first gmail account in 2006 and Google Apps collaboration platform in 2007. Our clientele covers more than 25 industries. Through our registration service, we have accumulated more than 11,000 google apps user accounts. 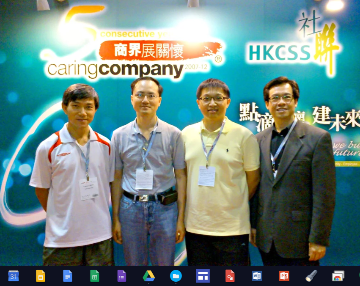 Furthermore, we are the first Google Appointed Apps Authorized Reseller to provide community education program in Hong Kong . Also we helped local charity NGO successfully apply Google Grant to promote services of the organization by Adwords. D P SYSTEMS has been awarded the Caring Company Logo for 5 Consecutive Years by the Hong Kong Council of Social Service, in recognition of our achievements in and commitment to corporate social responsibility. Launched by The Hong Kong Council of Social Service in 2002, the Caring Company Scheme aims at cultivating good corporate citizenship. It is specifically geared to building strategic partnerships among businesses and non-profit organisations to create a more cohesive society.